Easy access to repair procedures allows spares optimisation and reduces down state costs. Repair involves the welding of dissimilar materials. In most cases repair welding involves the welding of dissimilar materials. When welding dissimilar materials, the dilution factor must always be taken into consideration. 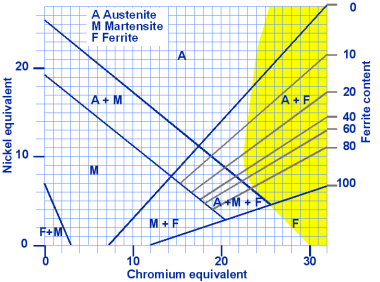 The Schaeffler diagram indicates the approximate microstructure for high alloyed steel welds. High alloy steels contain alloying elements as Ni, Mn, Cr, Mo, Nb, W, V, Cu. The total percentage of all alloying elements is higher than 5%. 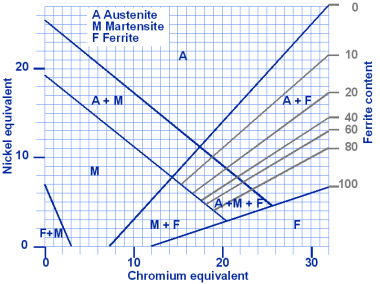 The relative stabilising strength of each element is indicated by the coefficient in the equation. Cold cracking or hydrogen-induced cracking are terms for the same phenomena. 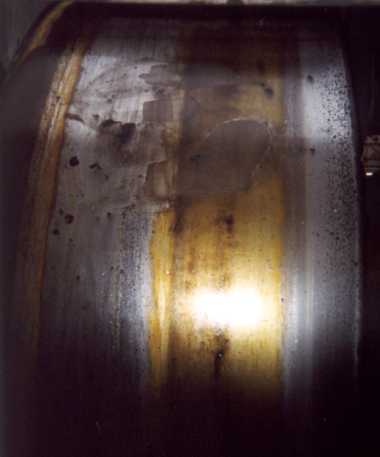 Well-known types of cold cracks are the underbead crack (base metal), root crack, microcrack or transverse crack in the weld metal. 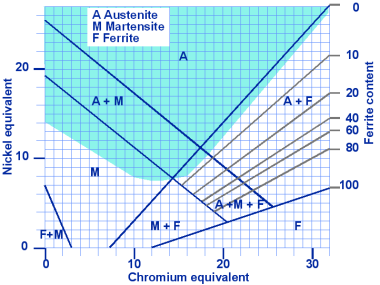 Martensitic structures have together with the presence of hydrogen and residual stresses a tendency to cold cracking. Cracks usually appear during cooling below 200°C. Hot cracking occurs slightly above the melting temperature of the lowest melting constituent. At this moment in the welding solidification process, dendrites are surrounded by regions containing interdendritic low-melting liquid. Strain causes fracture of the solid bridges. Keep away from oil and grease, clean painstakingly after welding, use stainless steel brushes. 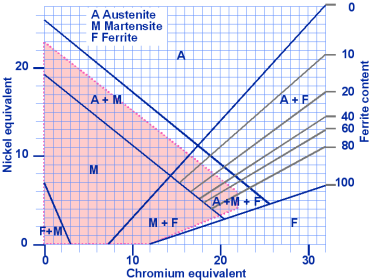 Intermetallic phases (Sigma phases) may form at temperatures between 500 and 900°C in ferritic stainless steels containing more than 14% Cr.